Zubeen Garg is an Indian singer and songwriter best known for his superhit single, “Ya Ali” from the movie Gangster. Born and brought up in Assam, Zubeen is a successful singer who has sung in many different and multilinguistic music industries including Nepali, Assamese, Bollywood, Marathi, Malayalam, Telugu, Manipuri and also, English. Zubeen Garg songs have introduced a different wave of music to the music industry. 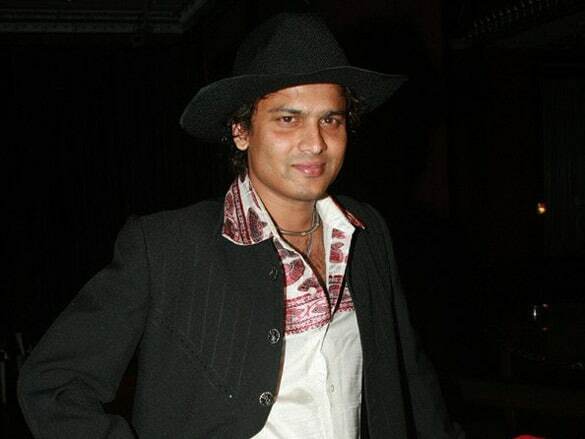 Zubeen Garg has quite in expertise in playing numerous musical instruments including Tabla, Guitar, Keyboard, and Dhol. He made his first debut in this industry in the year 1992. He was born in the city of Jorhat in Assam and his debut album, “Anamika” released in the year 1992. After the success of his first Single Album, he finally moved to the city of dreams, Mumbai to carve a successful playback singing career. Till now, he has been a part of numerous famous Bollywood movies and Albums including, “Chaandni Raat”, “Kaante”, “Fiza” and “Yuhi Kabhi.” BOTY has collected all the top songs by him in a list and the rank of these songs is on the basis of the popularity. Listen to these songs for free and have a happy time. Zubeen’s life has been a tale of many ups and downs. He lost his mother Ily Borthakur who was also a talented singer and dancer. His Sister, Jonkey Borthakur passed away in a car accident the year 2002. His biggest break was in the year 2006 when his Bollywood track, “Ya Ali” from the movie Gangster was released. This song was one of the biggest Blockbusters of the year 2006 and is still remembered by Zubeen’s fans from all across the country. After his successful single, his next album released in the year 2007 and was highly appreciated by audiences and critiques alike. Zubeen has a lot of Laurels to his name. He won the Global Indian Film Award (GIFA) for his song “Ya Ali.” He was also nominated for the impeccable IIFA Awards for the same track. His latest song was from the Bollywood Blockbuster “Krrish 3” which starred Hrithik Roshan, Kangana Ranaut and Priyanka Chopra in pivotal roles. Tune in to BOTY to know more updates about legendary Bollywood singers like Zubeen Garg. At BOTY, we leave no stone unturned to provide you with nothing but your daily dose of music and glamour. From sizzling hot celebrity news to updates about the music industry, we are here to keep you aware as well as entertained, just as you would like to be. Stay tuned for our next post on another legendary Bollywood Singer.